whiteAlice-44512011, a photo by Andrea Pokrzywinski on Flickr. White Alice has been taken down. 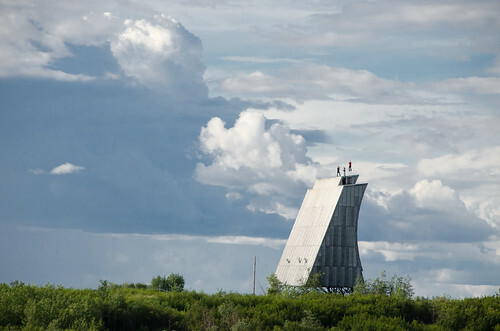 This was a cold war radar tower that has marked the skyline of Bethel for years. The crumbling tower was a safety hazard. Check out the KYUK site for more on this icon.